Queen Elizabeth II gave her grandson a new title - honoring the people of Northern Ireland - on the day William married Catherine Middleton (the Duchess of Cambridge) at Westminster Abbey. Prince William of Wales is now known, among other things, as the Baron of Carrickfergus. He is the first person to hold that title since 1883. 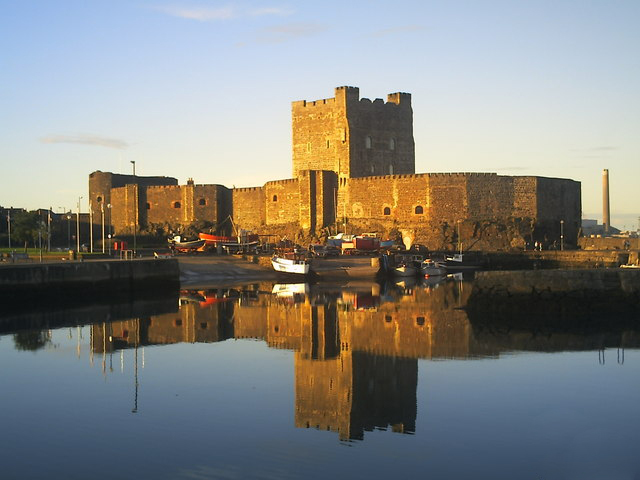 Where is Carrickfergus - and - what is its historical significance? A large castle town in Northern Ireland, it is known locally as Carrick. Situated in Antrim County, on the northern shore of Belfast Lough, the city is named for a sixth-century king (Fergus Mór mac Eirc). Its name in Irish (Carraig Fhearghais) means the "rock of Fergus." Boasting a lovely marina area, the town is one of the oldest settlements in all of Northern Ireland. It is about 10 miles from Belfast. Carrickfergus is the subject of a traditional Irish folk song - of the same name - performed in this video clip by Irish singer and harpist Órla Fallon who (at the time, in 2006) was part of the group "Celtic Woman." The first season's fifth episode of the HBO series, "Boardwalk Empire" - "Nights in Ballygran" - takes its name from the second line of the song. In that episode, Loudon Wainwright III sings a version which plays during the end credits. This clip is from "Celtic Woman - A New Journey: Live at Slane Castle, Ireland 2006." From "Celtic Woman - A New Journey: Live at Slane Castle, Ireland 2006." Click here for information on Celtic Woman and the group's tour schedule. Click here for information about Órla Fallon. Bos, Carole "Nights in Ballygran - Boardwalk Empire - Carrickfergus" AwesomeStories.com. Oct 07, 2013. Apr 24, 2019.